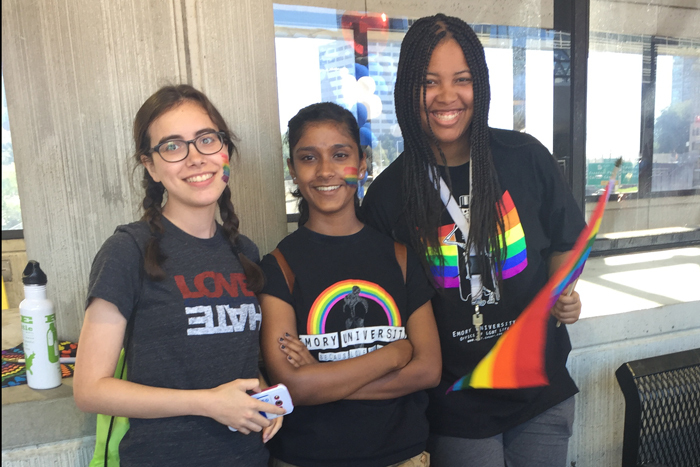 Emory students joined in the 46th annual Atlanta Pride Festival, marching together in the Pride Parade on Sunday, Oct. 9, to show support for LGBT equality. 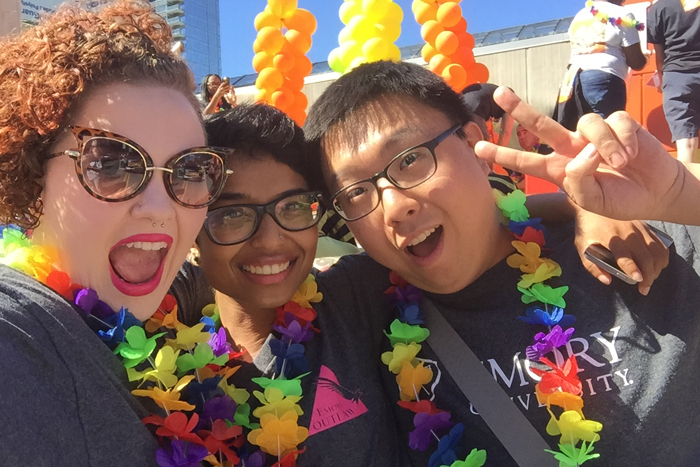 A large, colorful contingent from Emory joined in the Atlanta Pride Parade on Sunday, Oct. 9, taking to the streets of Midtown Atlanta to celebrate the fight for LGBT equality. 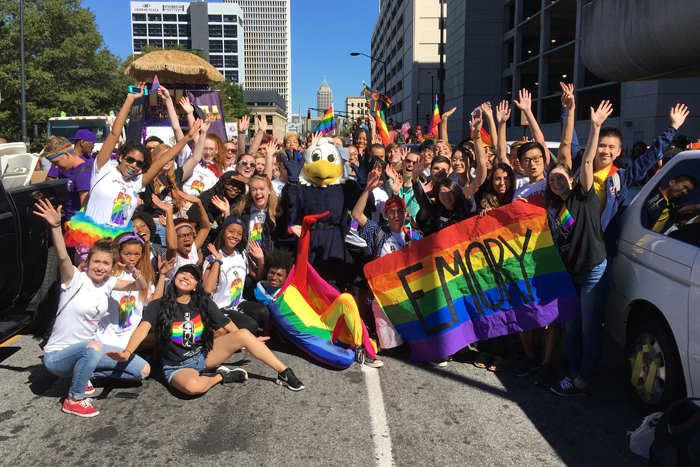 Emory has long been a leader for LGBT rights in the South. 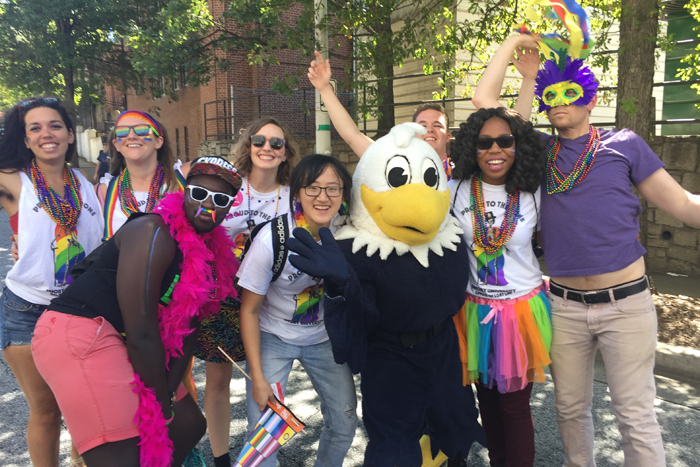 Last year, Emory was named the "most LBGTQ-friendly school" in Georgia, according to a review from eCollegeFinder, a website dedicated to matching colleges and prospective students. 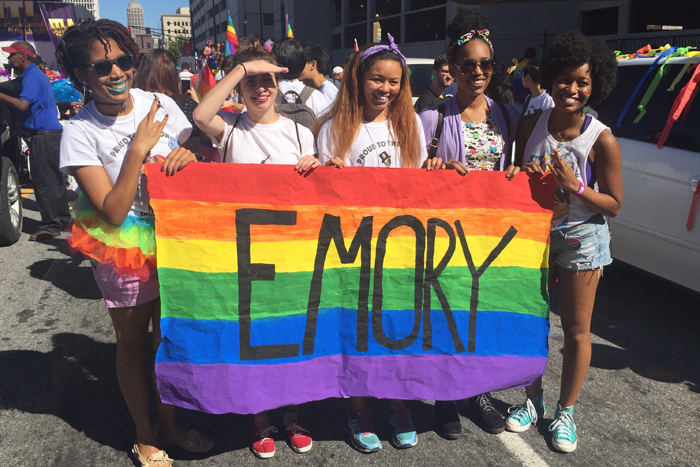 Emory also ranked 10th on the 2015-16 list of "Most LGBTQ-Friendly Universities" compiled by AffordableCollegesOnline.org. 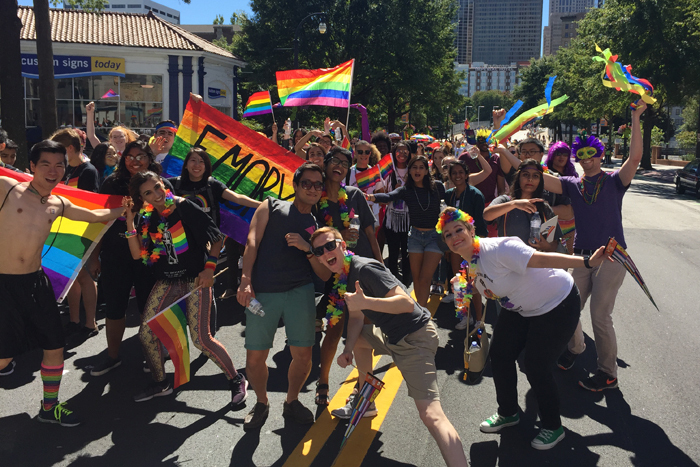 In 2014, the Atlanta Pride Committee, organizer of the Pride festival, selected Emory's Michael Shutt, now senior director for community, to serve as a parade grand marshal — among the highest honors in the local lesbian, gay, bisexual and transgender community. 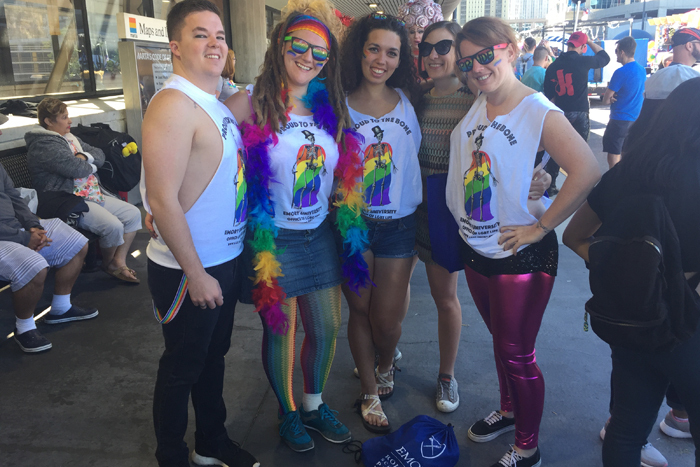 Founded in 1991, Emory’s Office of LGBT Life is the 10th oldest LGBT campus office in the nation and supports leadership development and student programming to advance networking, professional development and educational opportunities.